Everyone around him says he got screwed, but Jeremy Dodge still doesn't have an unkind word to say about his neighbor to the east. "He is a fantastic person, don't get me wrong," Dodge says of the neighbor, Gov. Peter Shumlin. "He's helped me a lot, at different times, when no one else would." Dodge, a stick-like man with kind eyes, no teeth and a stutter that renders him nearly incomprehensible, pauses for a second. "I would like to just say I've had more time to think about what I did," Dodge continues. "I screwed up. I should've found a way to find somebody, somehow, to help." 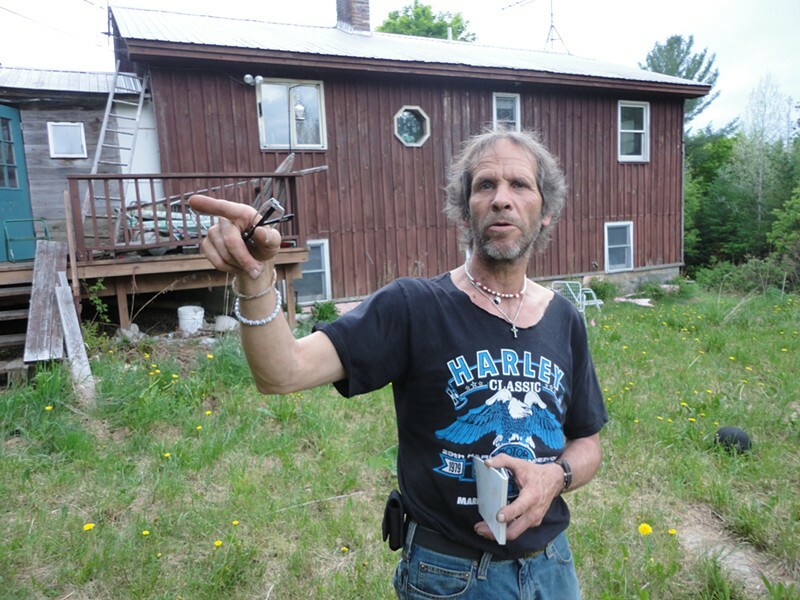 On a drizzly Thursday evening in East Montpelier, Dodge once again explained to an uninvited reporter what led him to sell his family's 16-acre property to the governor last fall, just days before it was scheduled to go to tax sale. He's been doing this since late last week, when a WCAX-TV van arrived at his house unbidden to ask about a real estate deal Dodge says he didn't fully understand and now regrets. "A guy and girl hopped out. I immediately thought they were Jehovah's Witnesses or Mormons," Dodge says with a chuckle. "They said they received an anonymous call." On Wednesday, Dodge's story hit the front page of the Barre-Montpelier Times Argus and the Rutland Herald. That night, WCAX ran its first report on the saga. Vermont's political world has been atwitter ever since, with the Democratic governor's tongue-wagging critics suggesting — mostly off-the-record — that the multimillionaire businessman and real estate collector had taken advantage of a neighbor in need. "I hope that he's able to account for what happened, because it doesn't appear to be something we would do here in this state of Vermont — not to one of our vulnerable citizens," Lt. Gov. Phil Scott, a Republican, said Thursday. "I just feel that we, as elected officials, have to hold ourselves to a higher standard — and I hope the governor can defend his position." The situation even attracted the attention of federal agents, though it is unclear precisely what they were investigating and whether they are continuing to do so. An FBI agent who interviewed a friend of Dodge's earlier this week declined to comment Thursday. A spokeswoman for the bureau's Albany division, which covers Vermont, directed inquiries to U.S. Attorney Tristram Coffin. "What I can confirm is that the FBI followed up on a tip and there's no active investigation in our office," Coffin said Thursday. After defending the deal in a series of written statements earlier this week, Shumlin moved Thursday to quell the controversy. In yet another statement, he indicated he would allow Dodge to remain in his house past their mutually agreed-upon deadline. "As I have said, I was saddened and disappointed that Jerry Dodge now regrets our agreement. I see and talk with Jerry frequently, and yet first heard about this from the press," Shumlin said. 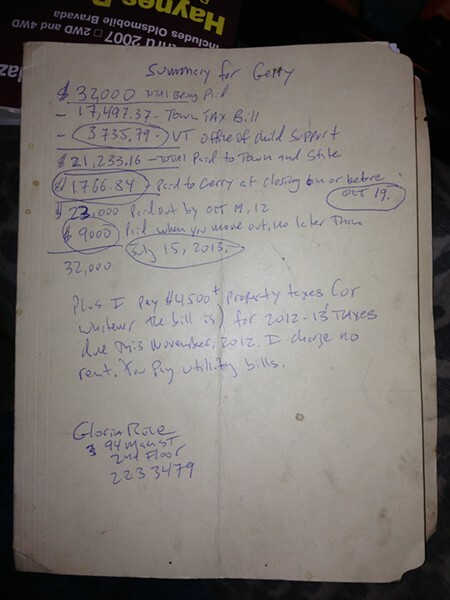 "When Jerry asked for my help to avoid the tax sale, I agreed, and I want to see this through to a good resolution. If that means Jerry stays in the house beyond July 15, that's fine with me." Dodge prefers to entertain his guests outside the ramshackle brown house, in a sloping backyard from which Shumlin's brand-new, 2200-square-foot "cabin" is just barely visible through the trees. 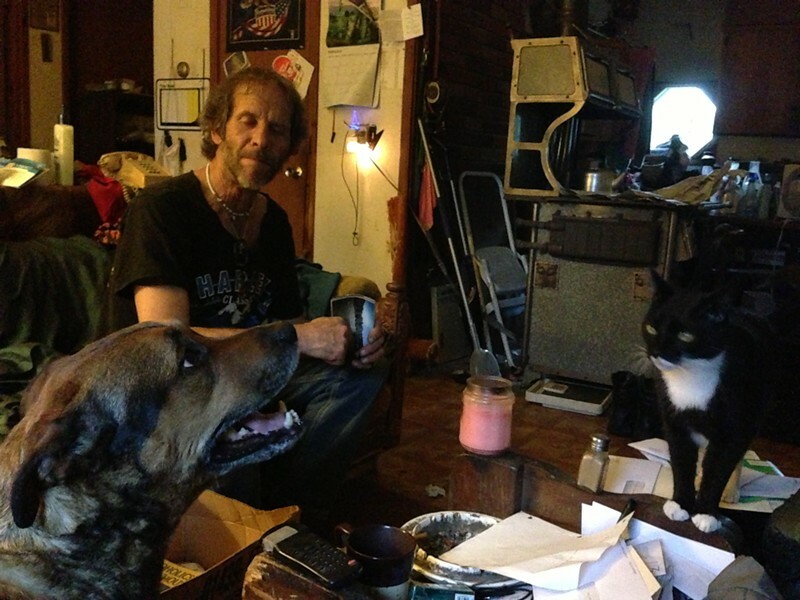 One glimpse and sniff inside the Dodge house makes clear why he's hesitant to show it off: The place is beyond filthy, littered with refuse and reeks of dog and cat urine. Conditions were so bad inside when town listers visited it this spring, says East Montpelier town administrator Bruce Johnston, they felt compelled to call the local health officer. "They were appalled," Johnston says. "They were truly concerned about the place." Dodge's friends and family say the 53-year-old man's life — and living conditions — took a turn for the worse after his parents died several years ago and the last of a series of wives moved out. That's when Dodge inherited the house and its property taxes started piling up. Fresh out of prison in November 2011 after serving a stint for domestic violence, Dodge says he began to comprehend the depth of his financial problems. But he struggled to find an employer who would hire someone who, as he puts it, has "been in and out of jail since [he] was 16." Dodge eventually got a part-time job at the Salvation Army in Barre, where he earns less than $10,000 a year. And after Shumlin bought the adjacent 27-acre parcel last June, the governor occasionally hired him for a few hours a weekend to help clear the land. With a tax bill nearing $17,000 and the town preparing to auction off the property, Dodge says he approached Shumlin in September to ask for help. "He didn't really want to get involved," Dodge recalls. "But he said he would go back and think about it. Then he came back the next weekend or whenever and showed me that proposal." The governor offered to buy the property and let Dodge stay put until July 15, 2013. Scrawled on the back of a manila folder (pictured at right), Shumlin's initial $32,000 proposal subtracted back taxes Dodge owed the town and child support he owed the state. It would leave him with a $1766.84 payment at closing and another $9000 when he moved out. The final sale price reached $58,000, according to Johnston, the town administrator. At the time, Dodge's property was appraised at $233,700. A subsequent reappraisal requested by Shumlin slashed its value to $140,000. "It sounded good to me, it really did," Dodge says of Shumlin's offer. "It gave me a year to stay here rent free, although I'd have to cover utilities and stuff like that, you know. That would keep me out of jail — for a year, anyway." But Dodge's friends and family weren't so sure he came out ahead. 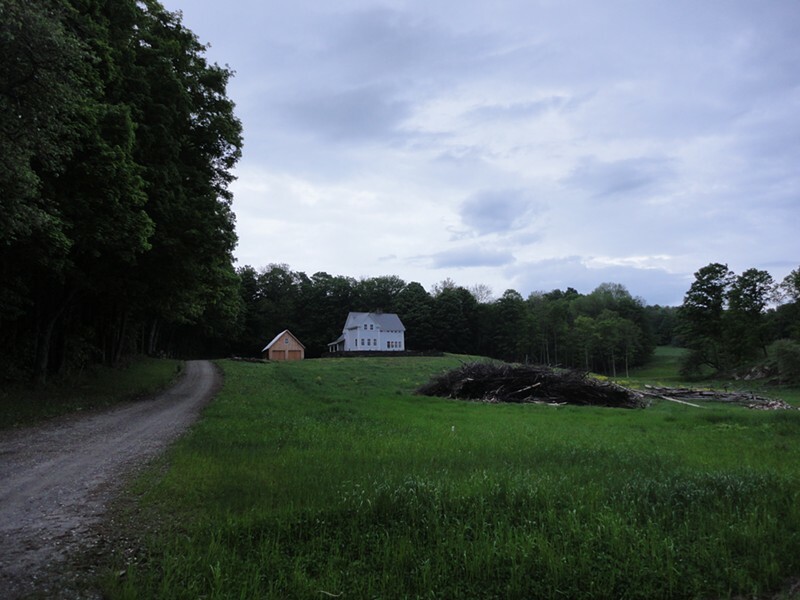 They say he had no idea that if the property went to tax sale, he'd be able to stay on the land for a full year — three months longer than Shumlin offered — and would have the chance to nullify the sale if he came up with the back taxes in that time. Dodge was under the impression he would have been evicted within a month of a tax sale. "After the deal was said and done and I went and saw him, he was basically in tears because he's losing his home that he's lived in since he was 9," says Shawn Dodge, Jeremy's 19-year-old son. "He didn't want to give it away, but he thought that was the only option. He thought that was his last chance." Bernie Corliss, a lifelong friend of Dodge's who now lives in Berlin, says he thinks Shumlin took advantage of a man he says isn't capable of engaging in real estate transactions on his own. "As time went on and things became more clear, I came to realize Jerry was maybe taken advantage of," Corliss says. "The governor could probably talk circles around Jerry in his sleep... If you grew up with Jerry, you know there's a mechanism in his brain that's not working correctly." Dodge's son, a member of the Vermont National Guard, agrees. "He has issues with paperwork. He can't really understand what's going on. He has someone explain it to him," Shawn Dodge says. "I just feel like Peter Shumlin's lawyer didn't explain it to him the way he needed it explained, so I feel like they kind of blindsided him." The son adds, "My dad's a very trusting person. If you're a stranger on the street, he'll give you the shirt off your back. If he has to starve for the night so his dogs can eat, he'll do that. He's such a good man. It's so sad that the governor took advantage of him like that." Why didn't Dodge get a lawyer? He says Shumlin suggested that, but he couldn't afford one. "I advised him I had no money for a lawyer or anything like this. I didn't know anything about pre-bonos or anything like this," Dodge says, referring to pro-bono legal aid. "He tell me that we'll use what's-her-name down in Montpelier there." That would be Shumlin's real estate attorney, Gloria Rice, who is currently out of the country and couldn't be reached for comment. "I met with her a couple times before signing," Dodge says. "She advised me [to get] legal counsel and all this stuff, you know. Like I say, I couldn't afford one, so I went along with what was written and signed where I needed to sign and get it over with." It's unclear whether Rice provided any legal advice to Dodge, in addition to Shumlin, who was her client. Doing so would raise serious red flags, according to Burlington real estate attorney Bruce Baker. "It's absolutely black latter law, huge conflict of interest for a lawyer to represent both sides of a real estate transaction," Baker says. "As soon as I give somebody legal advice, the legal relationship of attorney-client attaches." Furthermore, negotiating with somebody who is cognitively impaired could provide recourse to nullify a contract, says Burlington criminal defense attorney Brooks McArthur. It could even carry a criminal penalty, if the other party is aware of the deficiencies and does not act in good faith, he says. "It's a no-no if you know there are cognitive deficiencies to the point where that person may not understand what's going on," McArthur says. "If somebody takes advantage of a vulnerable adult, there may or may not be criminal liability." How does Dodge describe his own mental acuity? "I can read and write, but not really. I can read simple stuff," he says, noting that he dropped out of school in ninth grade. As for more complicated transactions, such as real estate? "I have no knowledge of any of that stuff," he says. "I really shouldn't have been doing that whole deal and I realize it now. I definitely should have had a lawyer." Dodge seems to have learned that lesson, at least. Sitting on a couch in his crowded living room, Dodge listens as a reporter reads to him Shumlin's most recent press statement on the matter, which indicates he may be given a temporary reprieve. He pauses a moment and says, "I just need to know exactly how long and stuff like that and before I do any kind of talking to his lawyers or anything like that, it's going to be my legal people I talk to."